New research reveals RNAs, which are crucial for cells to produce proteins, are also involved in protein aggregation, where proteins do not fold properly and 'clump' together into aggregates. If cells cannot clear these away, they become toxic and prevent cells working properly. This discovery, led by scientists at the Centre for Genomic Regulation (CRG) in Barcelona, reveals that RNAs act as a 'scaffold' to hold several proteins that stick to RNAs together, and that certain RNA molecules with distinct properties attract more proteins and encourage proteins to aggregate. They also investigated how an RNA called FMR1 is implicated in a neurodegenerative disease called Fragile X Tremor Syndrome, or FXTAS. Many neurodegenerative diseases are linked to protein aggregation, including amyotrophic lateral sclerosis and Alzheimer's disease. 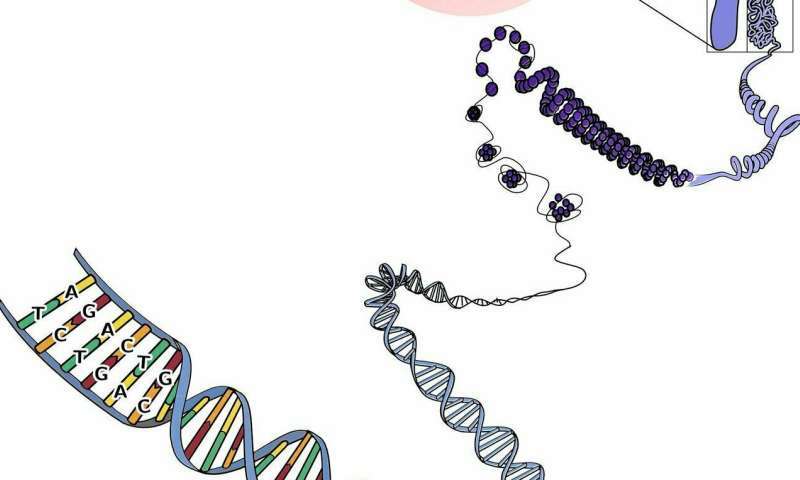 We know that proteins can form toxic aggregates, but until now, the contribution of nucleic acid molecules such as RNA has been up for debate. CRG researcher and ICREA Research Professor Gian Gaetano Tartaglia and CRG Alumni Teresa Botta-Orfila, and currently at Institut d'Investigacions Biomèdiques August Pi i Sunyer (IDIBAPS), wanted to understand how RNA can promote aggregation. In their research, published in the journal Cell Reports, they discovered that specific RNAs do indeed interact with many proteins within cells, and that these RNAs have distinct properties – they are structured, have a long area of untranslated genetic code called a UTR region, and often contain several repeats of genetic code (called CGG expansions) within them. "Using theoretical tools, Fernando Cid in the group investigated how an RNA called FMR1 attracts proteins in FXTAS," explains Gian Gaetano Tartaglia. "Together with Teresa we then worked out the proteins that bind to FMR1 using novel lab approaches and identified one of them as a protein called TRA2A. Using cells, mouse models of FXTAS and post-mortem samples from patients, we confirmed that TRA2A aggregates with FMR1 in this disease and we studied the consequences of its aggregation. Now that we know the components of some of these aggregates, we can begin to understand what is causing this disease and it may reveal new ways to treat it." Botta-Orfila continues: "We were surprised to find that our predicted interactions could act as biomarkers for the disease. And it was particularly exciting that we detected the TRA2A protein in the brains of people with the disease – it was one of the most important findings in my time at CRG. Lots of things suddenly made sense. The TRA2A protein that we discovered was involved in FXTAS is involved in RNA splicing, a crucial process that ensures the pieces of genetic code are in the correct order and produce the right protein. Because this protein aggregates in FXTAS, it isn't carrying out the splicing process correctly – and as a result many RNAs are altered and cannot work properly." And the team's biomarker discovery has raised more interesting questions that they'd like to answer. "Many of the genes that we found were deregulated because of protein aggregation are related to brain development, which is a key factor in disease development," explains Gian Gaetano Tartaglia.